In 1994, in his 25th year in the Kenpo System, Senior Master of the Arts, Richard ‘Huk’ Planas formed his own lineage. At that time he also created his own logo represented by a small patch that Mr. Planas grants only to instructors that possess a working knowledge and understanding of the system and can physically perform the system to his satisfaction. Since 1994 only a handful of people worldwide have received the patch from Mr. Planas. 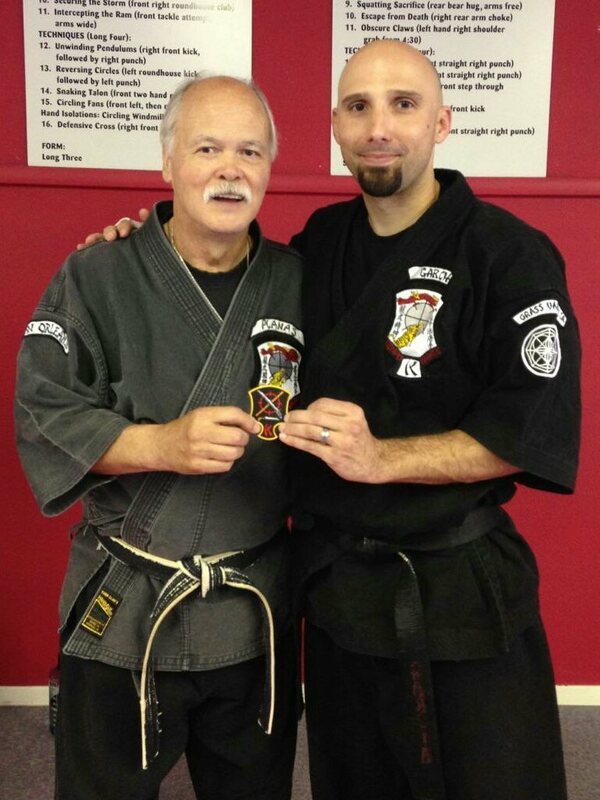 On April 30, 2016, after more than 21 years in the Parker/Planas Lineage and more than 4 years actively training directly with Mr. Planas (including many hours of private lessons), Mr. Garcia tested for and earned Mr. Planas’ signature patch. 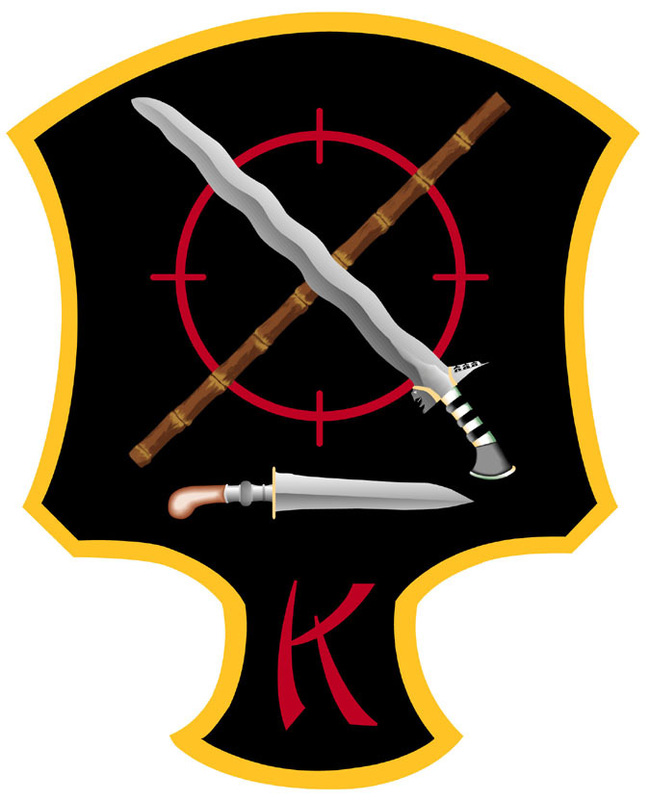 “The relationship between rank and knowledge varies from one martial art system to another. Many times, especially in Kenpo, it varies from lineage to lineage; sometimes from school to school. As I travel around the world I see people being promoted all the time to all sorts of ranks. I feel people need to know what the main requirements are for being promoted; time, age, and most importantly knowledge … I see that there is a lack of knowledge in Kenpo. People need to learn the rules and principles. The main problem is they are not aware of what they don’t know. They never completed their schooling. It’s like a doctor can’t drop out of medical school and call themselves a doctor. They need to complete the entire schooling to get the degree. However it’s important to note that the person with the lowest grade to graduate from medical school is still called a doctor. With all of that said, it really comes down to there simply being two kinds of Black Belts; good ones and bad ones. Which one do you want to be?” – Mr. Planas (http://www.parkerplanaslineage.com/Foodforthought.html).